Grand Rapids Chair | Kmotion Design Inc.
Grand Rapids chair, the name says it all. They produce many types of chairs for many industries. This project was a collaborative effort with their marketing team, and development partners. 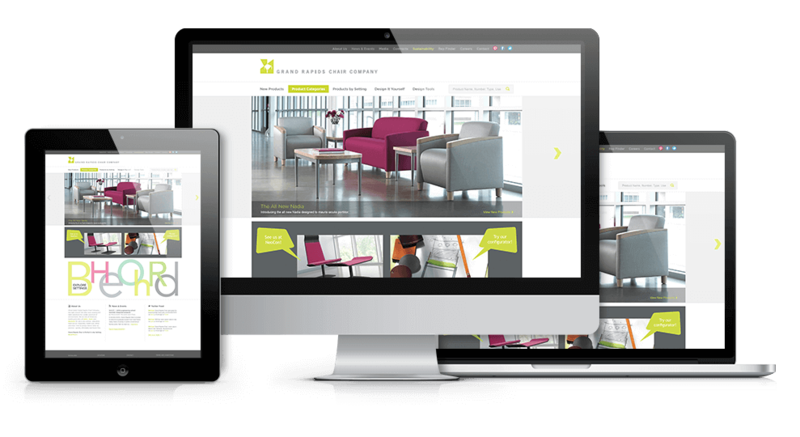 Built in Kentico, designed by us, we established the user experience and the website design. The project was very enjoyable for everyone involved. "By restructuring the product navigation we provided the user a more enjoyable experience to find products perfect for their environment"